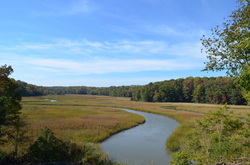 Thank you to the numerous people who contributed to the creation of these materials, including Page Hutchinson (VDOF), Marilyn Smith (VMN), Anne Dunckel (Alliance for the Bay), James Beckley (VDEQ), Andrea Plevan (Tetra Tech), Ann Regn (VDEQ), Robert Hendricks (VMN), Mary Dail (VDEQ), Carolyn Thomas (Ferrum College). Additional VMN volunteers and Creative Commons contributors provided images. 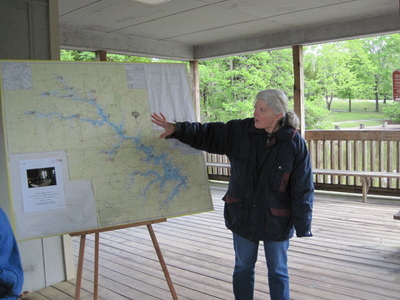 Michelle Prysby, VMN Program Director, served as the lead author and project coordinator. 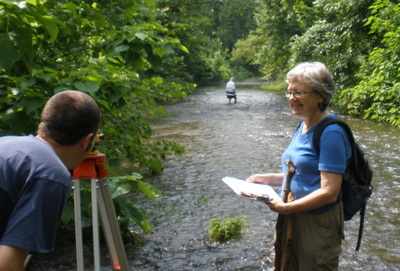 Funding for the development of the Aquatic Ecology and Management curriculum was provided by a grant from the Virginia Environmental Endowment. 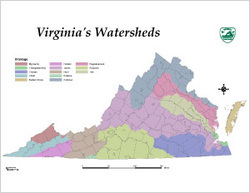 The major watersheds and rivers of Virginia, as well as their own "watershed address"
Basics of stream patterns, processes, and dynamics such as stream flow, sediment transport, baseflow, bankfull discharge, floodplains, meanders, riffles, and pools. 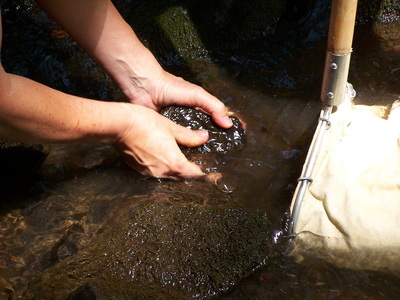 Key categories of organisms in freshwater aquatic systems, including benthic macroinvertebrates, freshwater mussels, and fish, and how these organisms can serve as biological indicators of water quality. Issues and threats relating to aquatic systems in Virginia, including point and non-point pollution, habitat loss, aquatic invasive species, and threats to groundwater such as contamination and subsidence. 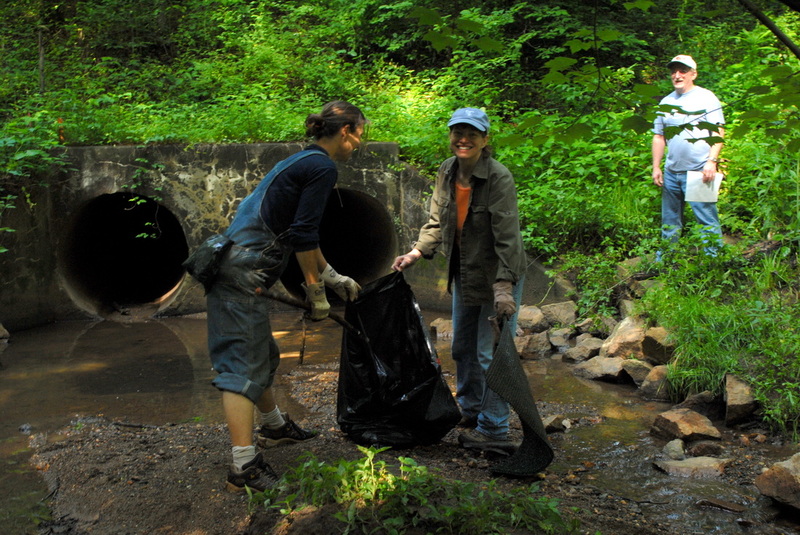 Key principles, tools, and methods for management of aquatic systems in Virginia, including the types of monitoring (physical, chemical, biological) volunteer groups may do. 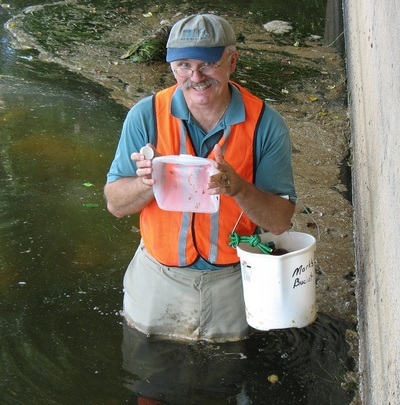 What: Short videos to introduce volunteers to the topic of Aquatic Ecology and Management. Photo by Michelle Prysby, VMN program. Note that book publisher websites are provided, but often these books are available from other sources at varying prices. What: A three-part set of online videos of PowerPoint presentations with narration by Michelle Prysby, Director of the Virginia Master Naturalist program. Combined, they are approximately 45 minutes long. User Notes: Please note that you can make the video full-screen, toggle between standard and high definition, and toggle the closed captioning on and off. Also, if you do not have an internet connection that is sufficient for streaming video, you may instead download the videos to watch offline simply by clicking on the title of the video so that that it opens on the Vimeo site and then clicking the "Download" button below the video. Please also note that these videos are intended to be used in conjunction with the handout provided below. Note for Basic Training Chairs and Course Instructors: The script for the full Powerpoint presentation is provided below for download in MS Excel format, which makes it easy to add, delete, or re-order slides. Basic training chairs for VMN chapters may contact the state office for access to the full Powerpoint file. Both the Powerpoint and the script may be used and adapted for your courses. Please pay attention to the image license restrictions listed in the notes section for each slide in the Powerpoint file. Photo by Jackie Heath, VMN volunteer. What: A two-page handout that matches up with the presentation. It is best printed in color, but black and white is acceptable. Photo by Rose Brown, VMN volunteer. 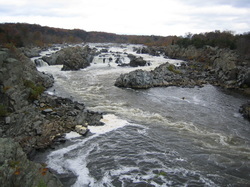 What: Lesson plans for interactive activities on aspects of aquatic ecology and management. Possible uses: These activities can be used during class time to encourage trainees to apply the material they have learned and to break up lecture time with an interactive exercise. The lesson plans are written so that they may be led by non-experts, including VMN volunteers. Activity #1: Exploring Virginia's Watersheds. In this activity, participants will become familiar with Virginia's major watersheds, find their own watershed addresses, and learn about impaired waterways in their communities. Activity #2: A Snapshot in Time. This activity is from the Healthy Waters, Healthy People Water Quality Educators Guide by the Project WET Foundation. In the activity, participants examine water quality data from a hypothetical stream and learn to interpret it. We cannot post the lesson plan online, but we do have permission from the Project WET Foundation to share it directly with VMN chapters upon request for the purposes of VMN basic training. If you or your guest instructor would like to use this activity, please contact the statewide office and you will be provided with a link to download a PDF version.